Jarno Trulli has taken the time to thank all at Caterham despite Friday’s decision to replace him possibly signaling the end of his F1 career. Trulli, who claimed his one and only grand prix victory at the 2004 Monaco race with Renault, raced for Jordan, Renault and Toyota before making the move over to Tony Fernandes’s fledgling F1 team. 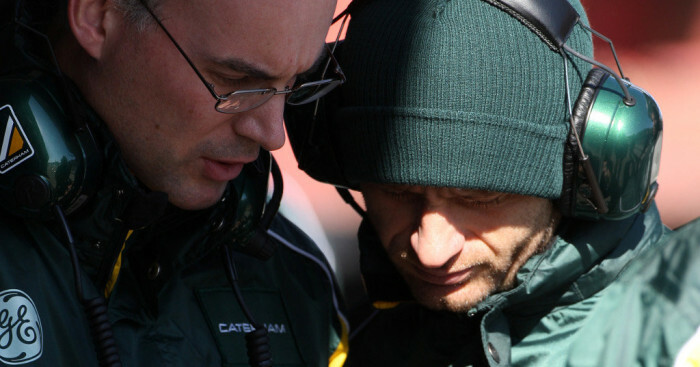 Together with Heikki Kovalainen, the Italian ensured that Caterham, previously known as Lotus Racing and Team Lotus, ended each season as the best of the newcomers. However, in recent months rumours suggested that his place at the team was no longer secure despite being confirmed as a 2012 Caterham driver. And on Friday the announcement that he was being dropped in favour of Vitaly Petrov finally came. Trulli, though, insists there are no hard feelings. “I want to take this chance to thank Tony, Kamarudin, SM Nasarudin, Riad, Mike and everyone in the team for the two seasons we had together,” he said. “From zero we built up and established a solid F1 team. I’m really proud to have been part of it.